Most businesses extend some form of credit or another to their customers. Although this often does not mean lending your customers actual money, extending credit by way of services or goods still equates to a period of time in which you are out of pocket, and they have benefited without having to pay for it. It is therefore good practice to think of the credit that you extend to your customers in monetary terms: it is the equivalent of handing over cash. Why Develop a Credit Policy? Most of us wouldn’t simply hand over money to someone we didn’t know without having at least some information on them. It is the same in business: you should have a procedure in place whereby you, or someone on your behalf, undertakes some checks before extending credit. These can include using Companies House to check the turnover of limited companies, asking the potential customer for references from other businesses they have had dealings with, and also practices that you develop in house based on prior experience. It is vital, especially in times of economic instability, to ensure that you have strategies for dealing with bad debt. Undoubtedly the greater value the transaction, the higher priority you should give to conducting due diligence on your potential debtor. 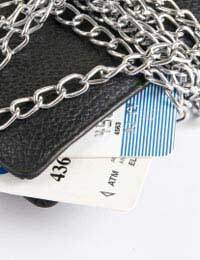 Before extending credit to a customer or business, you should consider the types of individuals and/or companies to which you are extending credit and think about their ability to pay. With this in mind, it is easier to draw up a policy for dealing with your debtors and fixing certain elements such as charges for late payment, interest, and timescales and methods for chasing overdue accounts. Not all customers will fit into the same type of bracket, so it can be a useful exercise to divide your credit policy into low risk, medium risk and high risk customers. how much credit you extend to a customer, based on the information they provide at the account opening stage. the customer’s details (whether an individual or company), including addresses, telephone numbers etc. The information you ask for at the outset may become very valuable at a later stage should you need to resort to litigation in order to recover the debt, and in particular if you need to take enforcement action.